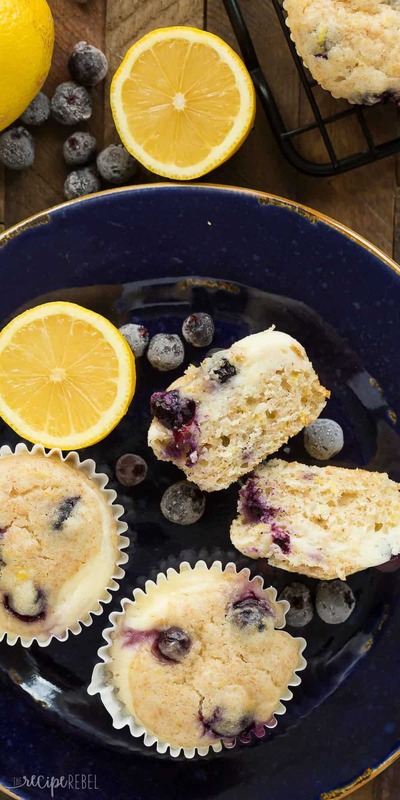 These Blueberry Lemon Muffins with Cream Cheese Swirl are a little sweet, a little tangy and perfect for breakfast or snack! 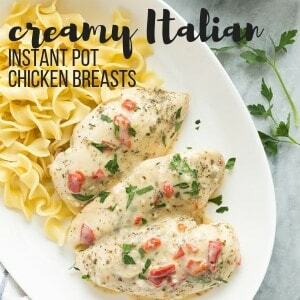 Easy to make ahead and freezer friendly. 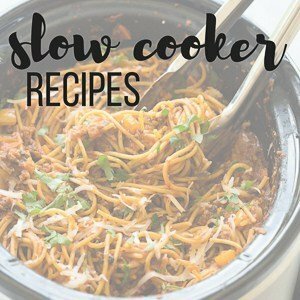 Includes step by step recipe video. That lemon/blueberry combo? I just can’t resist. When I had the opportunity to do some experimenting with Arla Organic Cream Cheese, I thought maybe I’d mix things up. Maybe do a banana muffin with cream cheese filling (<– that one might just have to happen yet! ), or something even more adventurous. But when I asked my Facebook group, the vote was overwhelmingly LEMON. I can’t just ignore that, can I? I tested this recipe a couple times without berries, but I just love how the berries are so juicy and add an extra burst of (natural!) sweetness and colour. And so even though this recipe is a lot like my Cream Cheese Filled Blueberry Lemon Bread that you love, I made some important changes and added in some better-for-you ingredients. I swapped out more than half of the flour with whole wheat, reduced the sugar, and I used Arla Organic Cream Cheese, made with wholesome, natural ingredients, so that we’re okay calling them breakfast even though they taste indulgent. There are so many good things in here — lemon, blueberries, whole grains, and the Greek yogurt and cream cheese add a richness that makes them extra special. I know my kids and I devoured them! With our oldest girl in kindergarten now, I’m always on the hunt for delicious and nutritious things to fill her lunch box with, as well as things that will keep her full and energized throughout the day (because being in school for a full day is a big adjustment for her!). It can be so easy to grab a box of granola bars or cookies when you’re grocery shopping but these muffins are super simple to make (no mixer — just a whisk!) 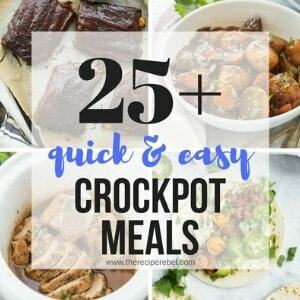 and they can be frozen for a few months so you have an easy grab-and-go option for breakfast or lunches. I know I’m not the only one who has days where “grab-and-go” is all you can handle! Always zest your lemons before juicing! To get the most juice out of your lemons, roll firmly on the counter before juicing — you’ll get a lot more this way! Feel free to mix up the citrus flavour (try orange or lime!) and the berries (raspberries, maybe? ), to make your own unique combination that your family will love. Stay away from frozen strawberries as they are usually too large to incorporate whole or sliced. Fresh, chopped strawberries will work just fine! 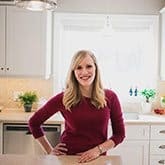 *This post is generously sponsored by Arla Canada — thank you for supporting the brands that help me bring you the recipes you love! Pssst. 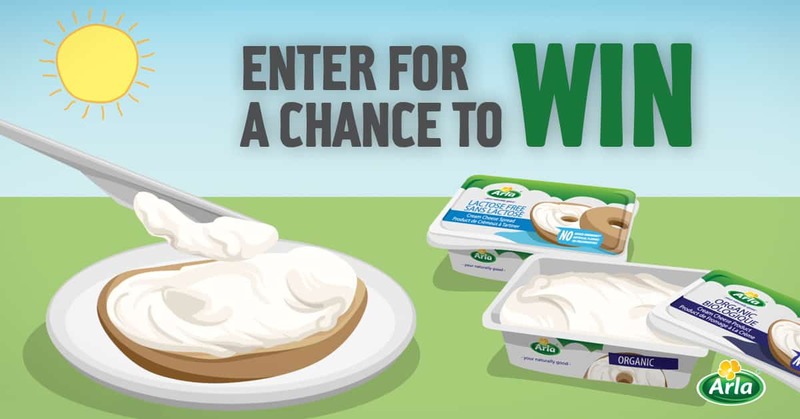 Arla Canada is giving away a HUGE prize pack to one lucky Canadian! PLUS, each week they’re going to give away $50 in Arla cheese vouchers! Preheat oven to 350 degrees F and line 18 muffin cups with liners (or use silicone muffin cups). In a large mixing bowl, combine oil, sugar, eggs, yogurt, vanilla and lemon juice with a whisk until combined. Add flours, baking powder, salt and lemon zest and stir just until combined. Fold in blueberries. In a medium bowl, whisk together cream cheese, 1/3 cup sugar, egg white, and 1 tablespoon flour until smooth. Place one heaping tablespoon of muffin batter into the bottom of each cup. 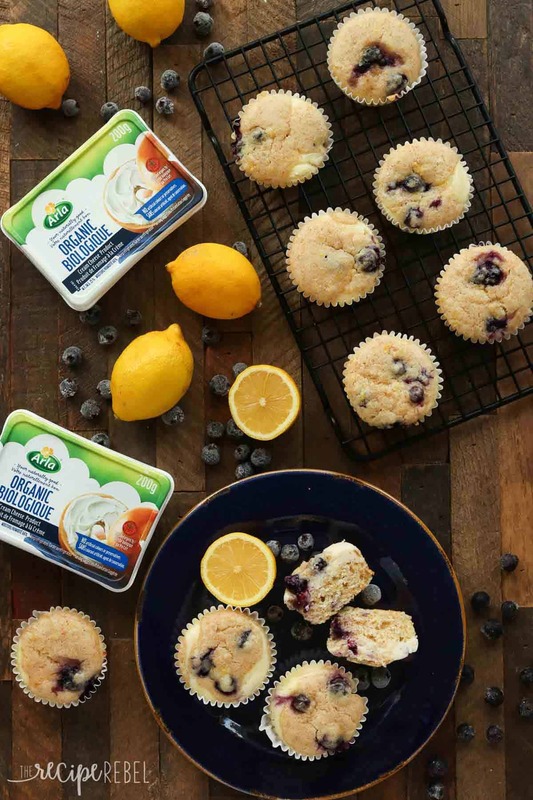 Divide cream cheese mixture evenly between muffin cups. Top with remaining muffin batter, dividing evenly between the muffin cups (it's fine if it doesn't cover the cream cheese completely!). 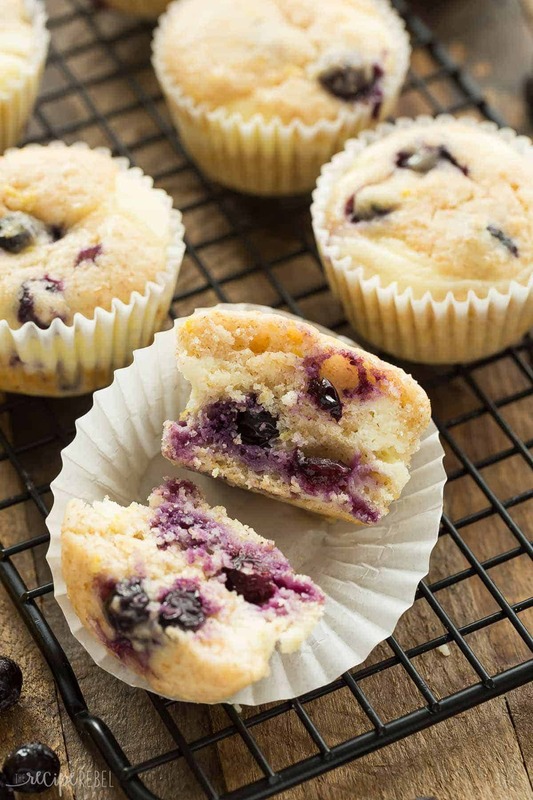 Bake for 18-22 minutes, until a toothpick inserted in the centre of the muffins comes out clean or with moist crumbs. Let sit for 5-10 minutes before removing to cool completely on a wire rack. Store in the refrigerator up to 1 week or in the freezer up to 3 months. I assume this is fir 12 muffins. Oops, sorry. I just watched video and see you used a 6 cup pan. I ran across this recipe yesterday and had to make these muffins immediately! They are SO good. 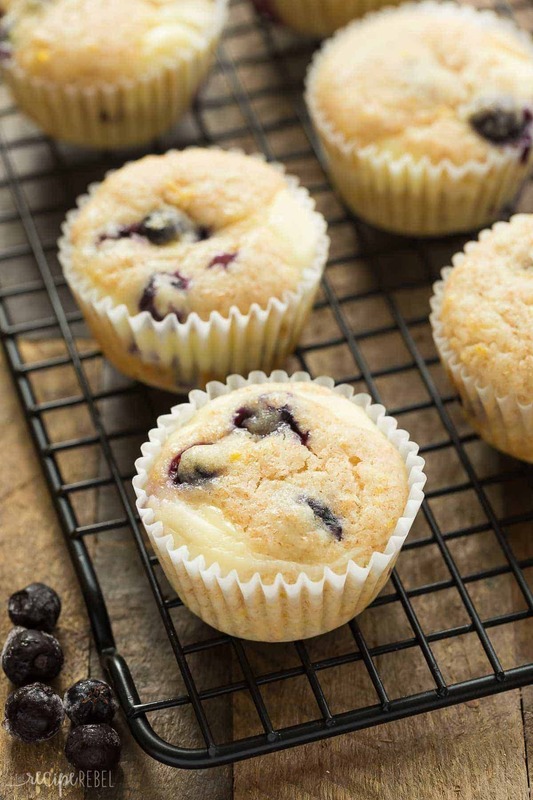 LOVE the balance of lemon, blueberries and cream cheese. Also love that you incorporate whole wheat flour and Greek yogurt. They are absolutely delicious, my family devoured them. A lovely moist looking muffin. I loved seeing the Arla products. Living in Sweden, Arla is our dairy products of choice.